Picture this, you’re on your way home from work and you’re exhausted. 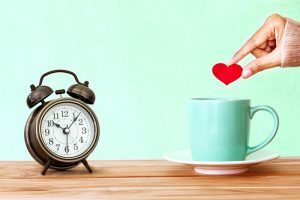 You still have so many things to do before the night is over that you’re wondering what you can remove from your to-do list. The first thing that comes to mind is dinner. Of course! You’re still in the car, you have several drive-thru options on your way home. Perfect! You stop by Wendy’s because it seems healthier than McDonald’s and you bring home dinner. All you have to worry about now is picking up the wrappers to throw them in the trash. Voila! You saved time on dinner and on clean-up. And dinner was even cheap! But then it hits you…Wendy’s chili over a house salad isn’t really healthy. I mean, have you ever wondered what really goes into that chili? It doesn’t align with your commitment to eating healthier and feeling better. You know what else it doesn’t align with? 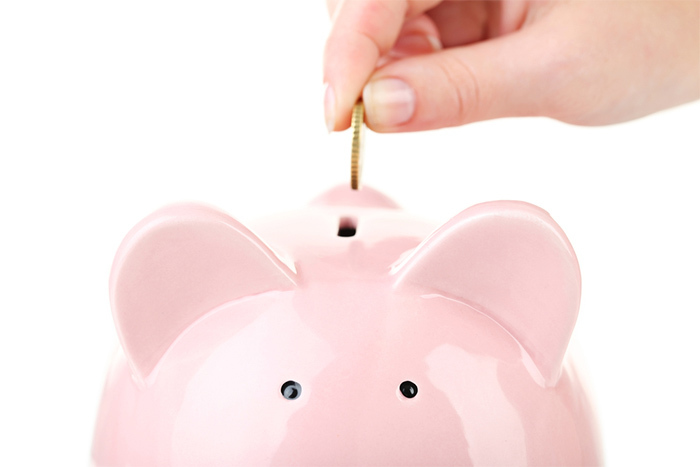 Your commitment to save money, to cut down on unnecessary expenses. 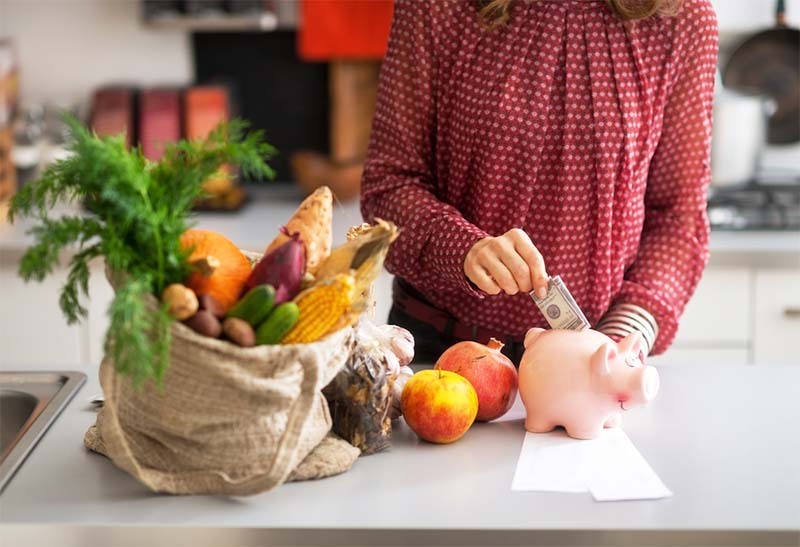 Have you ever calculated how much money you spend on food every month? I’m talking groceries, eating out, ordering in. Any food purchases. If you’ve never done it, give it a try…you’ll be shocked…horrified! But there’s one thing that can significantly reduce how much money you spend on food every month. You can put more money in savings, get out of debt, go on that trip you’ve been dreaming of. You can be saving as much as a car payment (or more!) with meal planning. 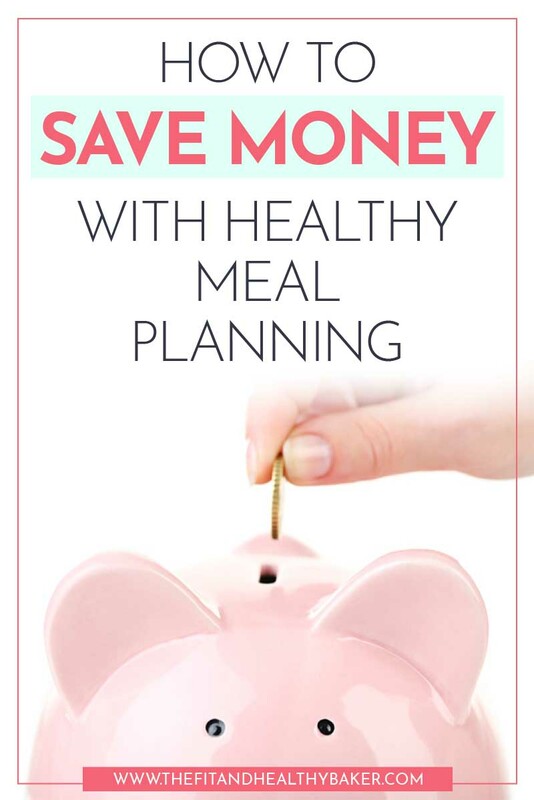 Let’s go over 5 ridiculously obvious way you can save money with healthy meal planning. When you plan your meals for the week and create a shopping list limited to what you need to make those meals, you save a lot of money. And this holds true even when you purchase whole foods. Why? You’re not going to the supermarket wandering down grocery aisles and picking whatever looks appealing at the moment. You arrive ready to pick out very specific items that serve a purpose for every meal during your week. Thankfully, more supermarkets are also carrying more organic, whole, and healthy foods. 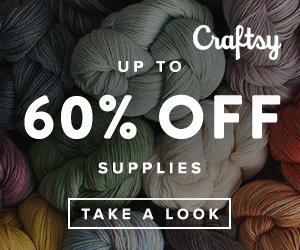 This makes them more accessible and more reasonably priced. And if you can’t buy everything organic. Don’t do it! Focus on the “Dirty Dozen” veggies and fruits for organic purchases and buy the rest at lower prices. SAVINGS TIP: Always eat before you go to the supermarket. Going on an empty stomach will make everything look appetizing. You’ll end up buying things that aren’t on your shopping list. Look in your fridge, freezer, and pantry to check out foods that may be close to expiring or are sitting in the back unused. Include those ingredients as part of your meal plan for the week. That’s less food you have to buy. 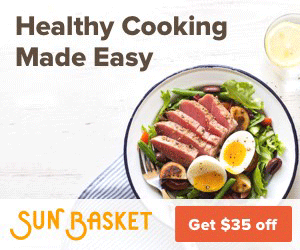 Make at least three meals for the week that require only 3 – 4 ingredients. 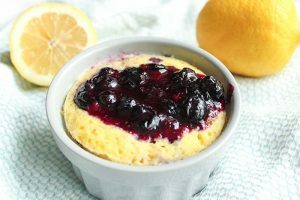 If you can use the same ingredient across meals, even better! For example, you can buy a bunch of cilantro and use it for taco night, black bean soup, and cilantro lime cauliflower rice. The same goes for your proteins. Never underestimate your creativity when it comes to cooking meals that use some of the same basic ingredients but taste vastly different. This past week I realized I had three extra cans of organic diced tomatoes. They were hidden in the back and I simply hadn’t noticed them. So, I cooked Italian sausage breakfast pepper bake one day. Another day, I made a hearty tomato bisque soup. You can do this, it’s easier than it seems. 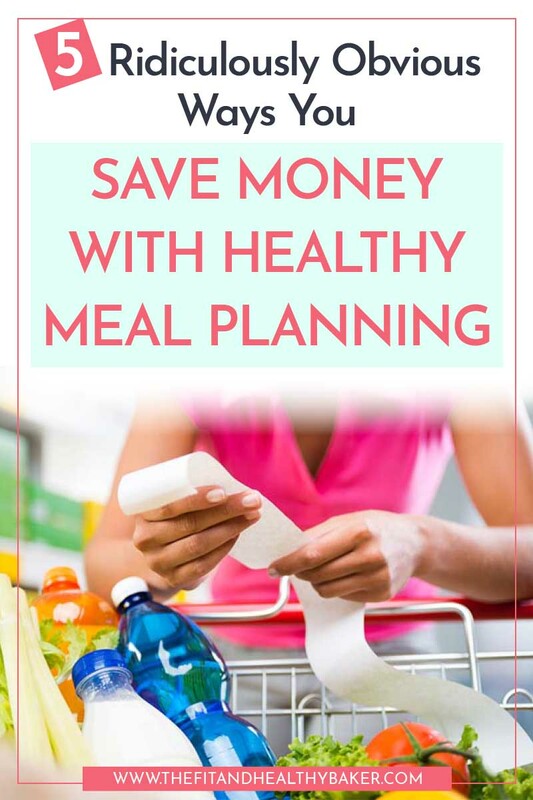 And it becomes even easier when you realize that you can really save money with healthy meal planning. There are some great coupon apps that save all the coupons you need in one place when you go to the grocery store. Some of these apps even give you money back for submitting your receipts, kinda like a rebate. 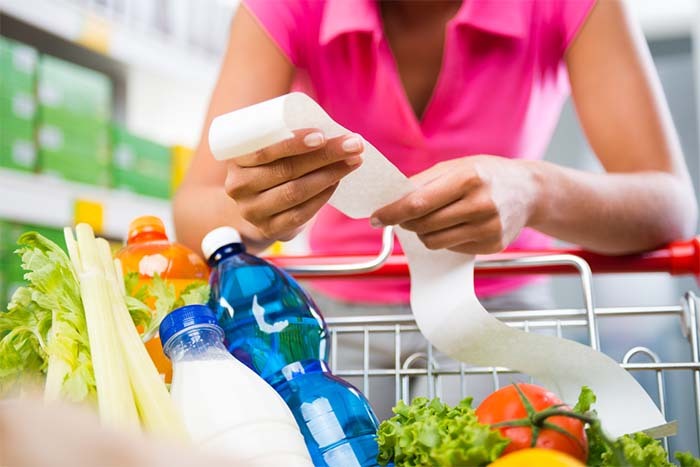 Don’t wait until you’re at the grocery store to see what coupons are available! 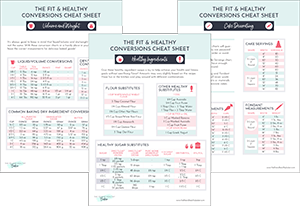 Check out the sales and coupons before you even create your meal plan. 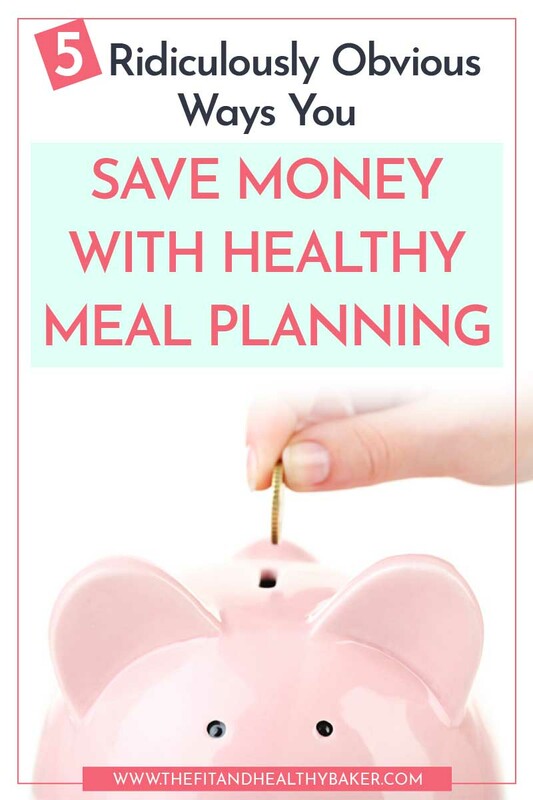 Then you’re starting with savings built into your healthy meal plan before you even get started. And check your community for organic produce co-ops and cheaper organic grocery stores, like Trader Joe’s. Then look into services like imperfect produce, where you can get an organic produce box at a greatly reduced price. TIP: You can also get an app that gives you money back for submitting your grocery bill. Ibotta is a great one to use for this. Are you tired of throwing away veggies and expired food? And if you’re trying to be healthier and buying organic foods, double the amount of money you throw in the trash! That’s basically what we do when we throw out food that was perfectly good when we purchase it. Having a healthy meal plan accounts for everything you purchase. It also helps you decide what perishables need to be used earlier in the week to keep them from spoiling. 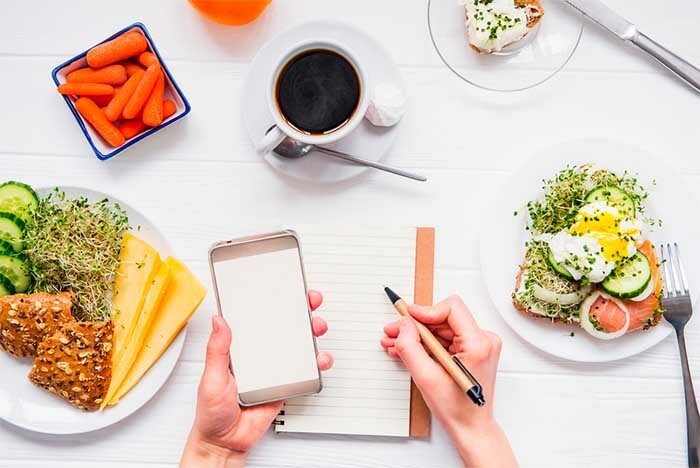 There’s no need to throw food away when you purchase only what you need and when you carry out your meal plan effectively. 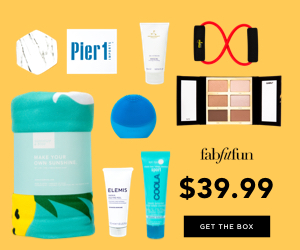 I left this (by far the biggest money sucker!) for last because it’s the one that makes the biggest difference in your budget. And to be clear, I don’t mean you should never ever eat out, or enjoy going out with family or friends to restaurants. What I’m saying is that those should be the exception rather than the rule. And anybody who knows me well knows that I’m a foodie and I love to eat out! Even more since I moved to Seattle because it’s such a foodie city. And a healthy foodie city at that! 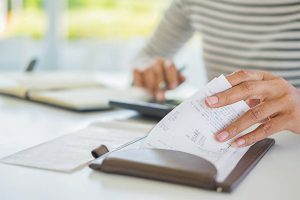 Not long ago, my husband and I decided that we needed to stop spending so much eating out. Meal planning was the solution. We still eat out with friends or try new restaurants on the weekends. But the daily lunch purchase for two people adds up really quickly! That’s definitely done. And we feel the difference when we’re not prepared and end up buying lunch throughout the week. 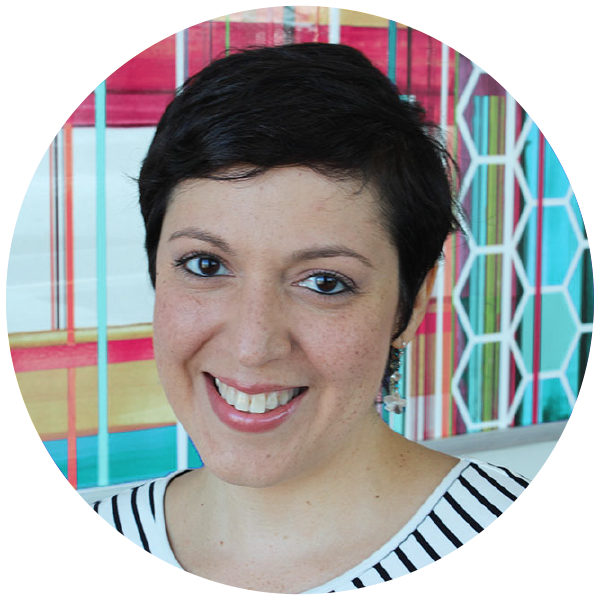 A few years ago (maybe more than a few 😉 ) when I was single and in crazy debt, I made a major overhaul of my budget. You notice how I still remember the exact amount I was saving when I stopped eating out? This was more than 10 tears ago, but the shock of how I was wasting my money stayed with me. And that didn’t include money spent on groceries or anything else. Needless to say, I started putting an extra $621 every month toward my debt from eating out alone. SAVINGS TIP: Go through the exercise of calculating how much you spend on eating out. There’s nothing like it to encourage you to pick up meal planning. 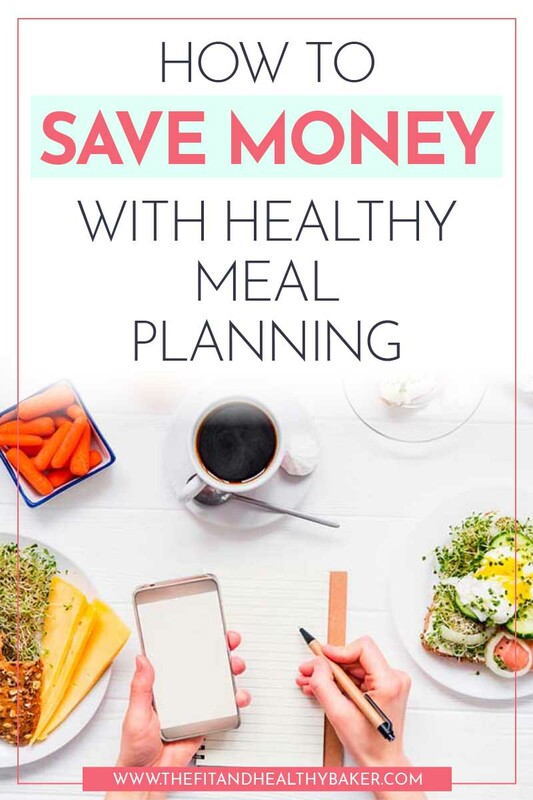 ARE YOU ON BOARD TO SAVE MONEY WITH HEALTHY MEAL PLANNING? 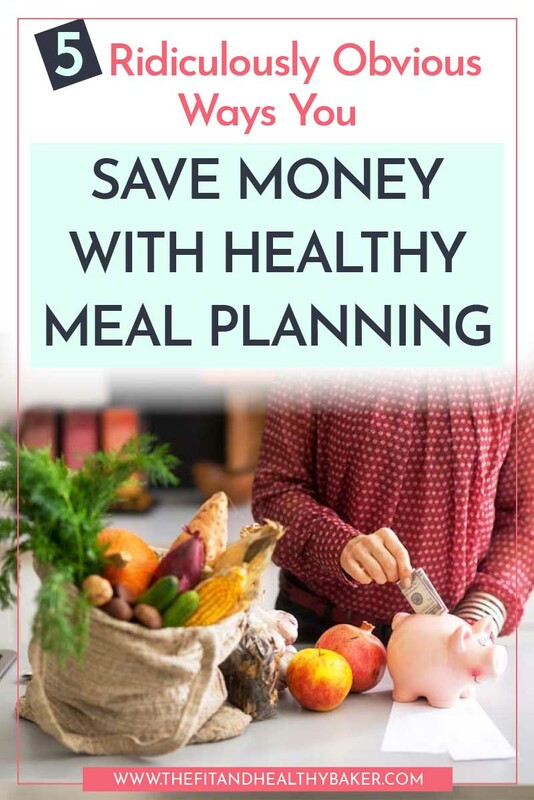 That’s how much you can save with healthy meal planning. And I’m being conservative here. Remember…$621…on eating out alone! 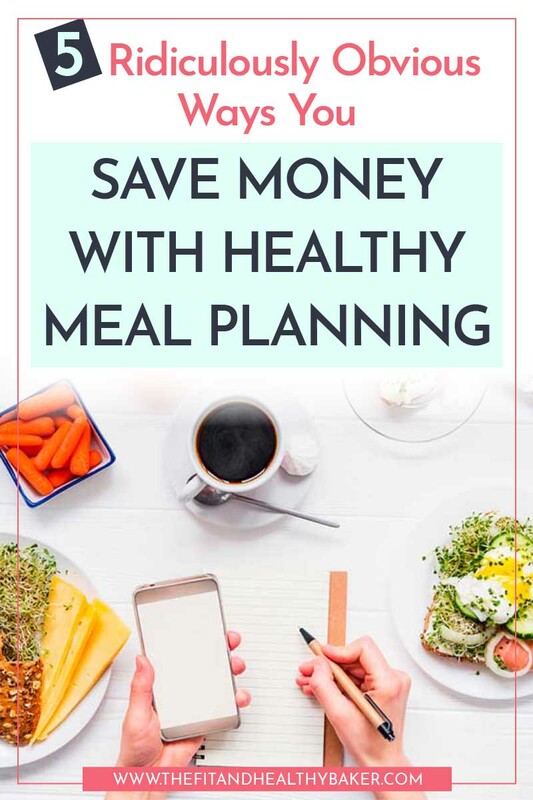 I just gave you 5 ridiculously obvious ways you save money on healthy meal planning. Are you on board? Try it for two weeks and comment below to let me know how much money you saved. Know somebody who wants to eat healthy and save money? Share this post with them and pin it. 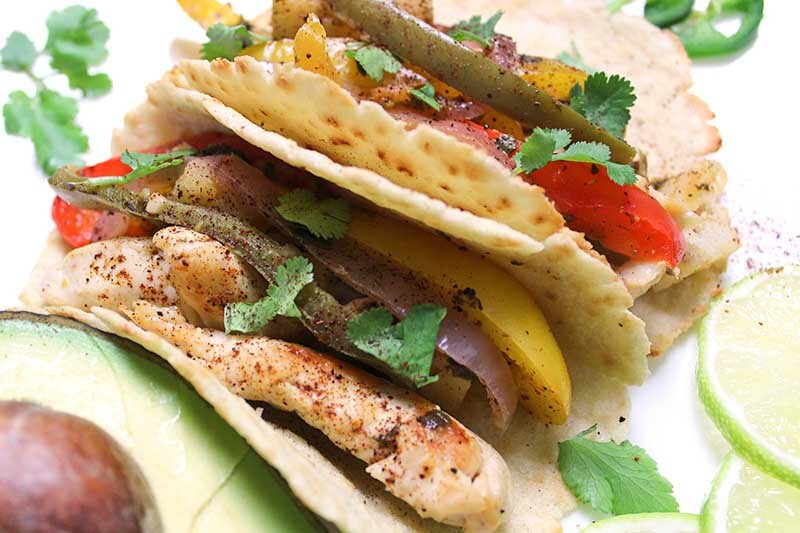 Instant Pot Chicken Fajitas – An Amazing Mexican Favorites Sneak Peek!